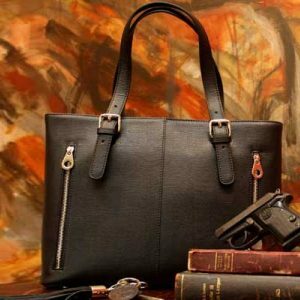 The Color Block Satchel in a warm nutmeg synthetic leather with black accents combines fashion and function in a trend setting design. 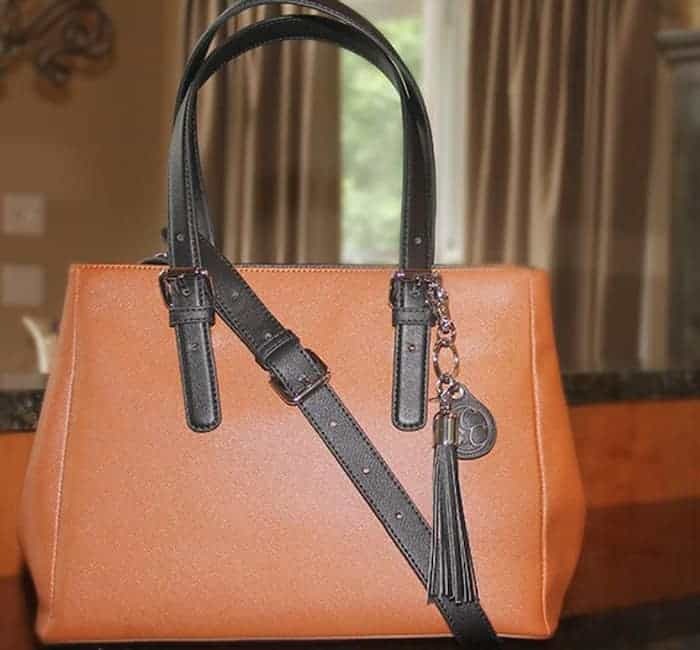 The Color Block Satchel in a warm nutmeg synthetic leather with black accents combines fashion and function in a trend setting design. 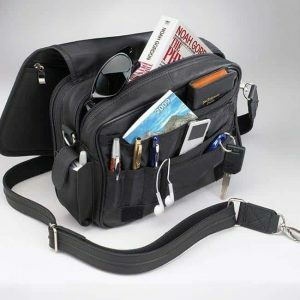 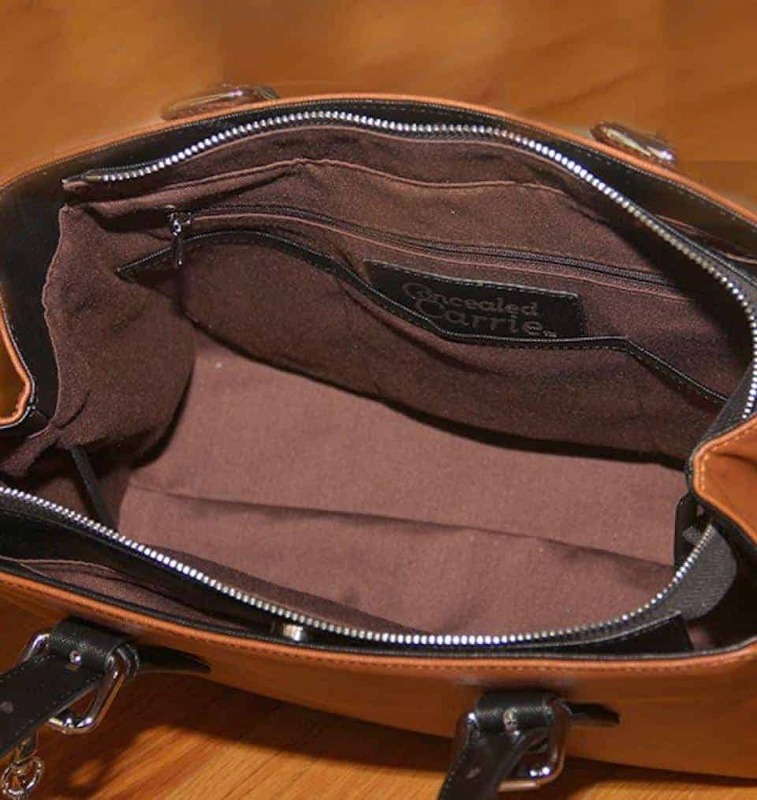 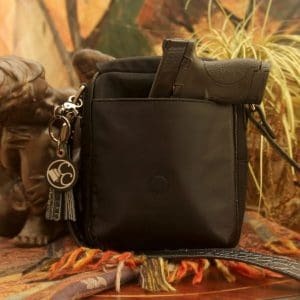 The large main zippered compartment is full of pockets and dividers for personal items and the double exterior pockets are accessible through magnetic closures. 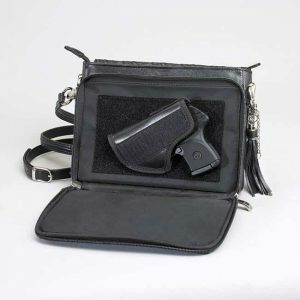 The ambidextrous design allows access to the separate firearm compartment for both right and left handed shooters from the exterior or interior. 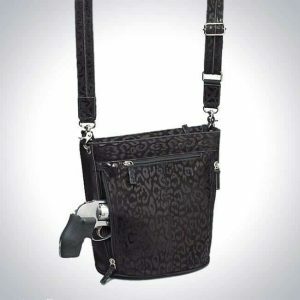 Double shoulder straps are removable and adjustable in length (7-10″). 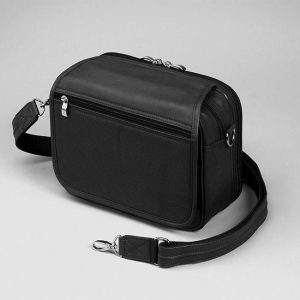 The removable shoulder strap adjusts up to 54″ allowing for cross body draw. 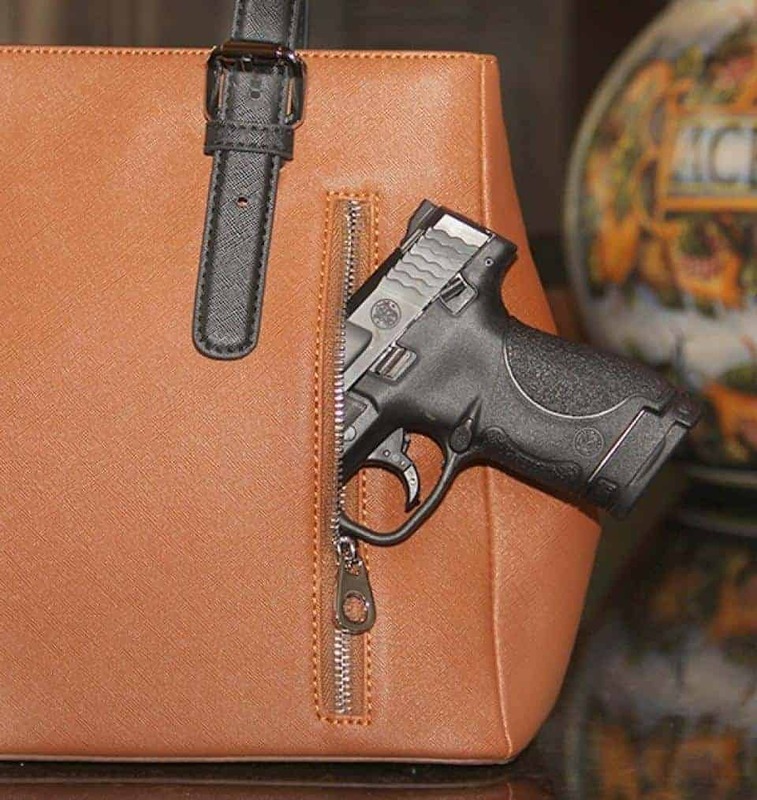 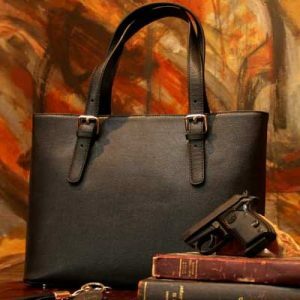 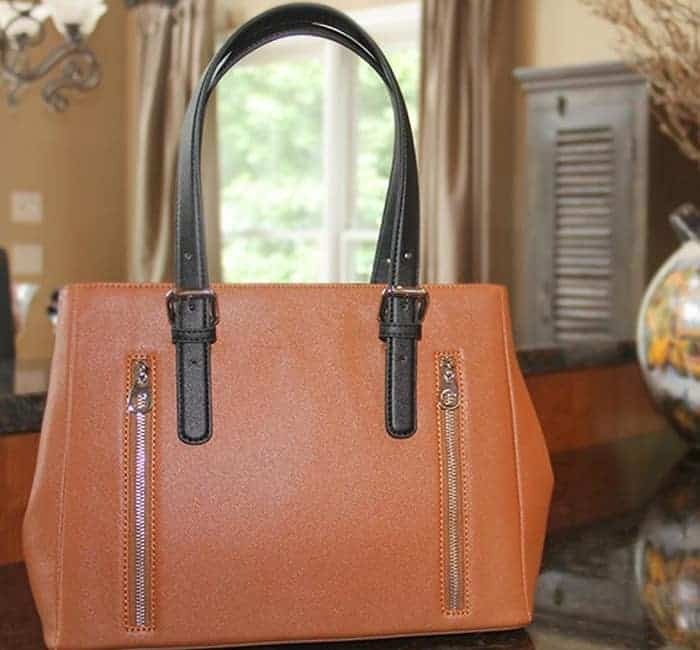 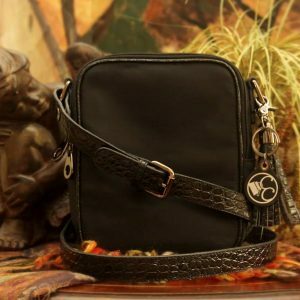 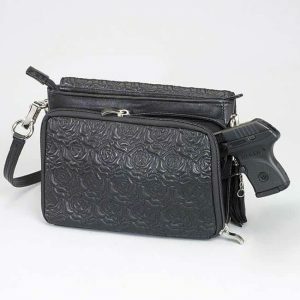 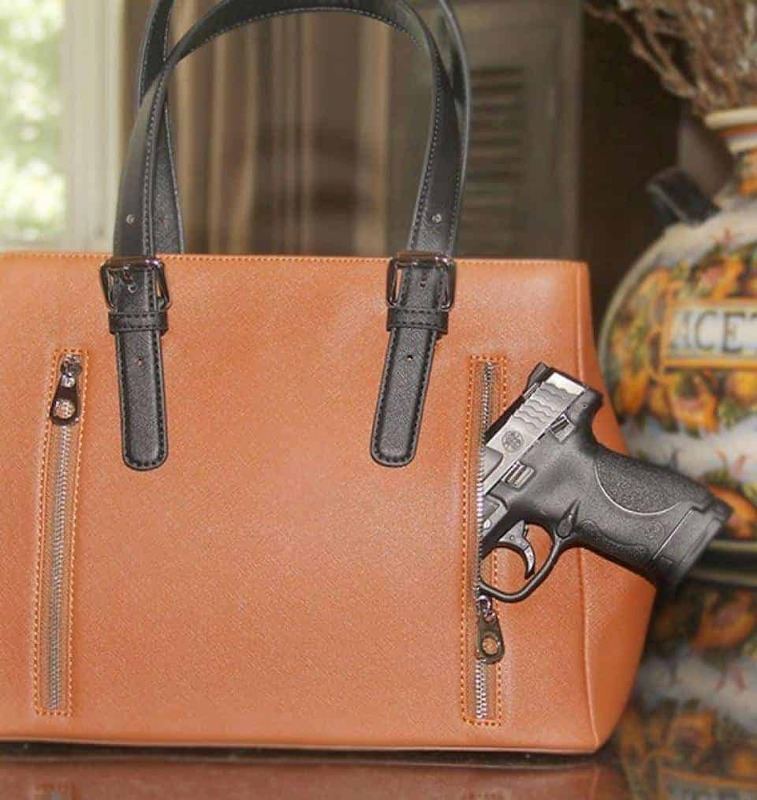 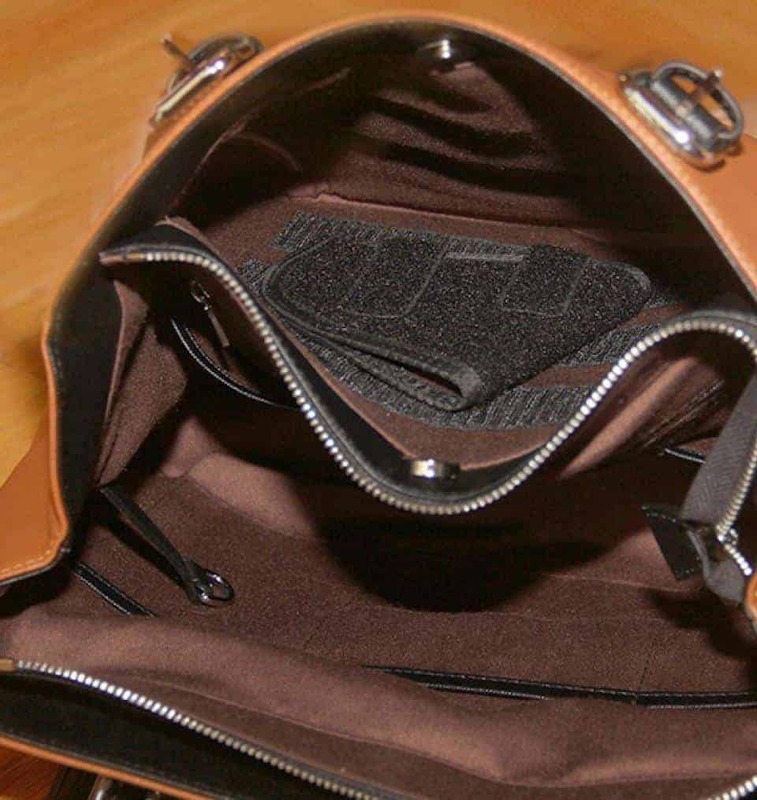 With its 7” zipper to the firearm compartment, this handbag best accommodates any compact or subcompact handgun including a Glock 19/23, Glock 23/27, J-frame revolver or similar size handgun.